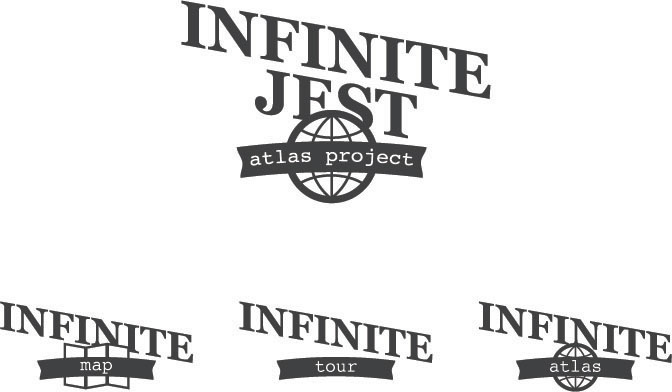 Our longtime friend and literary buff William Beutler came to JESS3 seeking a partner to help visualize the complex geography of The Infinite Jest. The famous 1,079 page long novel by the late author David Foster Wallace is a sprawling masterpiece that is as complex as it is beloved. For those unfamiliar, it takes place (a) entirely in North America, (b) primarily in the Northeastern U.S. and Canada, (c) especially in the Boston area, and (e) most centrally in the Boston neighborhood of Brighton-Allston and adjacent Cambridge. 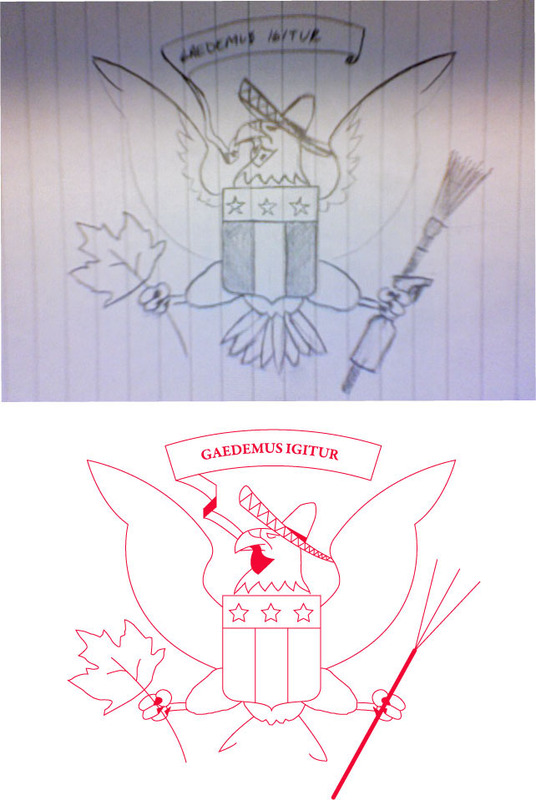 We also were brought in to provide a visual language for the project, from the to faux seals to the project’s logos and t-shirt designs. 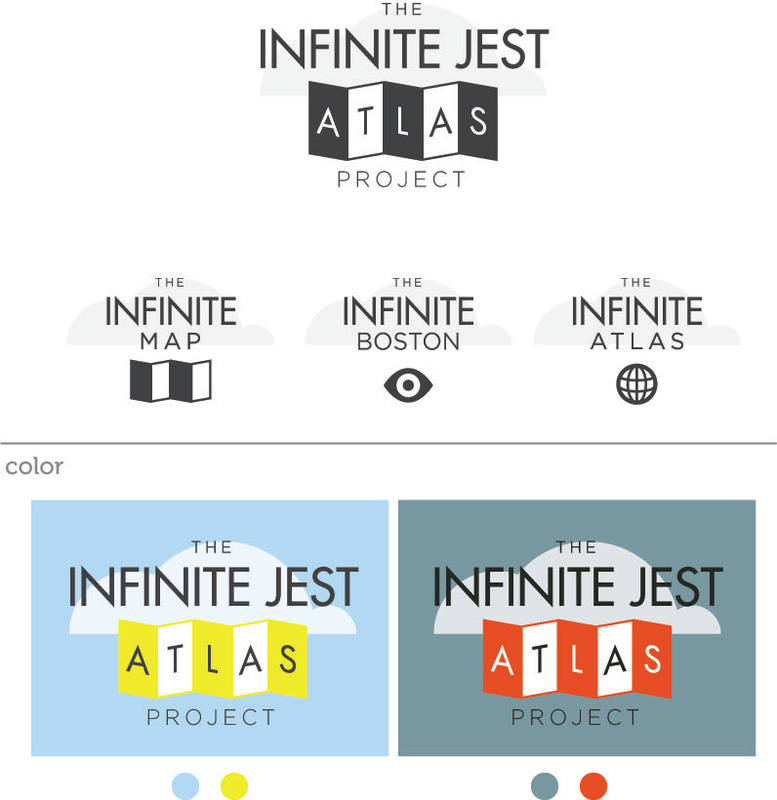 Beutler’s years of studying the nuances of the Infinite Jest, combined with our visual storytelling chops, lead us to design a poster-sized map and legend that brought focus to the principal locations of the novel Infinite Jest. 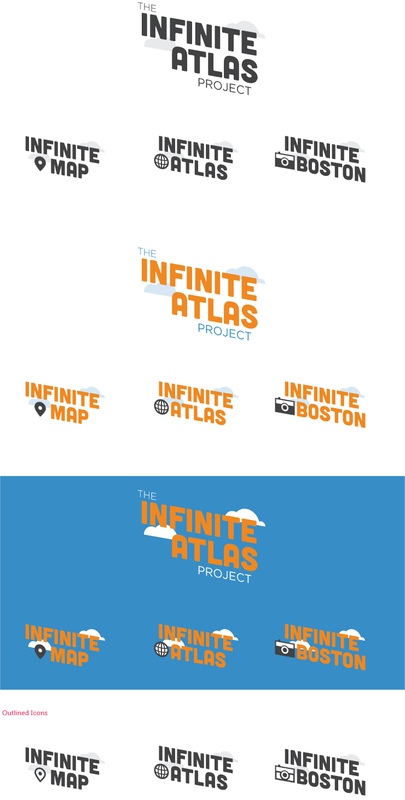 We leveraged our in-network cartography talent to lend authenticity and credibility to the project. 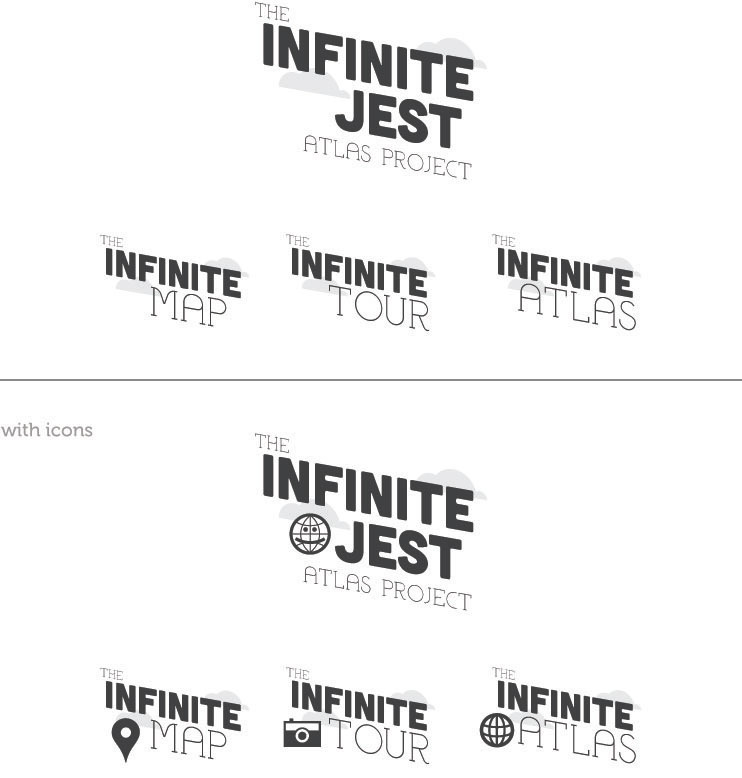 Working from Beutler’s diligent notes, our placement of the map pins reward Infinite Jest fans by providing them with a final product that makes the places within the novel seem very real indeed. 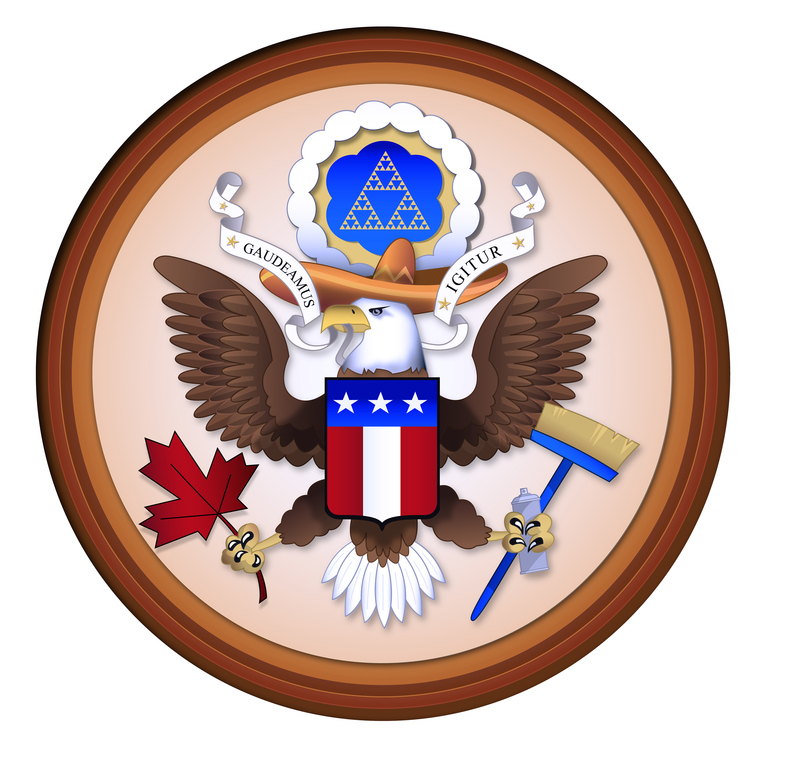 The map seal was inspired in design and style largely by the real U.S. Seal, taking cues from Wallace’s detailed description within the novel. 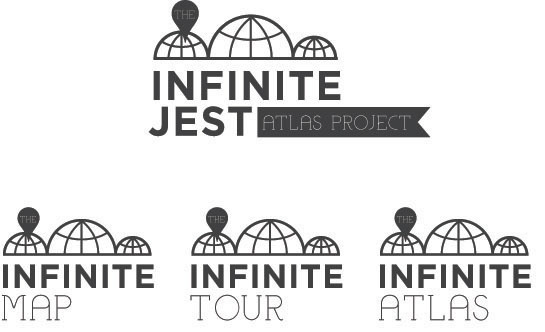 The logos for the project all leveraged visual themes from the book, including the bright blue sky seen of every edition of the book cover, and the iconic white fluffy clouds. Every minute detail of design was inspired by the visual language that seeps from the book, and even David Foster Wallace’s real-life signature. Thanks to the careful researching of locations and events associated with the above locations in the book, Beutler managed to narrow down the locations from 600+ to an even 250 to be properly visualized in a map of almost-real North America. This project is a labor of love and is meant to provide the most-dedicated David Foster Wallace fans with a supplement to the novel and bring to life many of Wallace’s imaginary (and some completely real!) 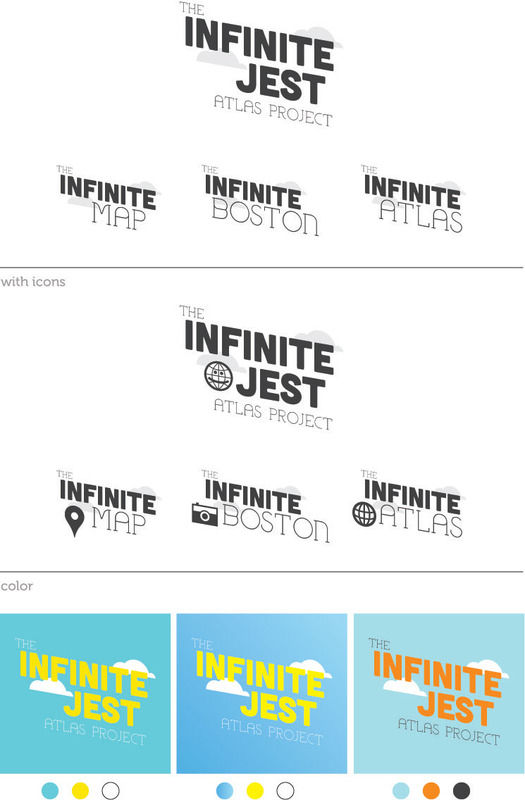 events and places of Infinite Jest’s Boston.